This differs from the regular Cottage Callcards (1024 & 1025) in that there are 2 obvious difference. The first is that it uses the Soliac SO3 Chip. The second is that the text on the back is black, rather than the usual blue colour. 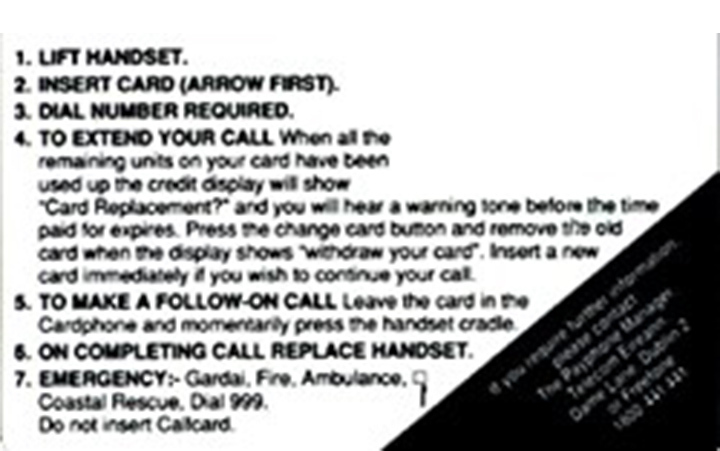 The card was initially on trial but was abandoned because they didn't operate correctly on the Monetel Cardphones installed on Irish Rail train carraiges,which made use of the Eircell (now Vodafone) Mobile Phone Network. 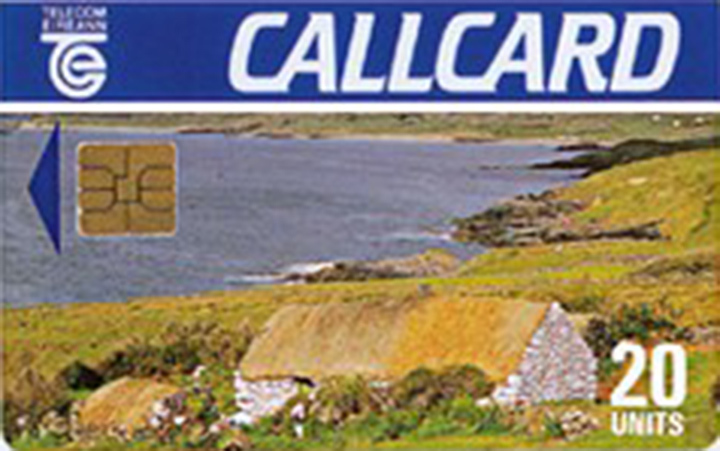 650 remaining mint of the Callcard was made available through the Callcard Collectors Club. See our Blog feature on the photo of the Cottage Callcard here.